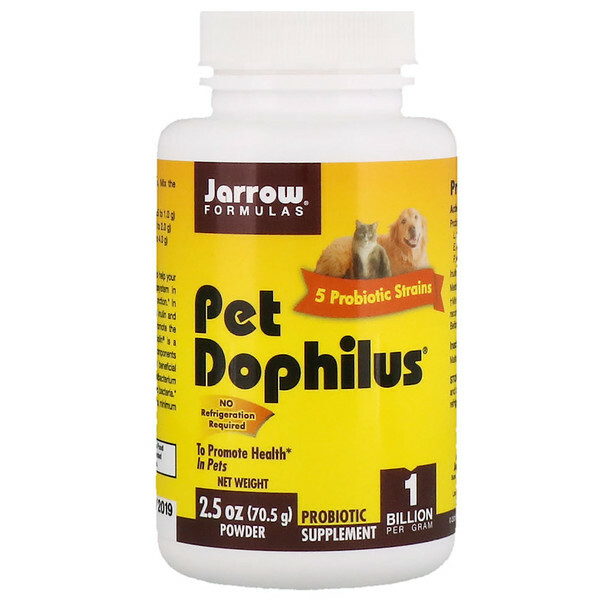 Pet Dophilus is a probiotic formulation designed to help your pet maintain a balanced intestinal microbial ecosystem in order to promote intestinal health and immune function. In addition to probiotics, Pet Dophilus also contains inulin and Metabolin. Inulin is a natural fiber that helps promote the growth of the beneficial microorganisms. 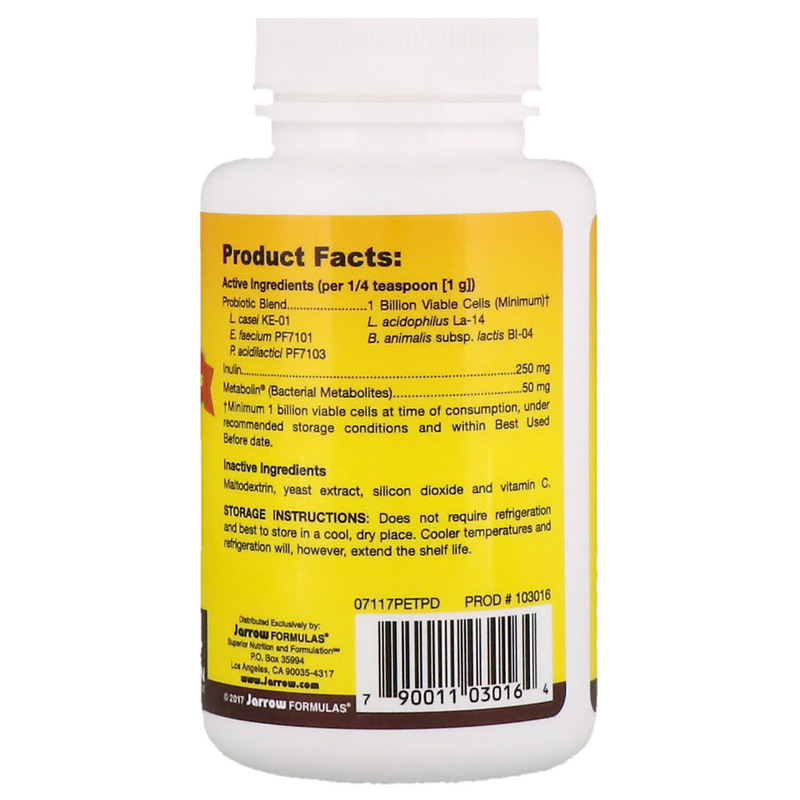 Metabolin is a supernatant powder (special blend of cell wall components and metabolites derived from the fermentation of beneficial bacteria, including Lactobacillus and Propionibacterium species), and works synergistically with the probiotic bacteria. 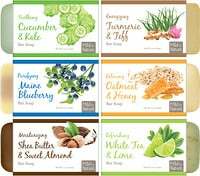 Each gram (approximately 1/4 teaspoon) contains a minimum of 1 billion viable cells. Or give as directed by your pet's veterinarian. Storage Instructions: Does not require refrigeration and best to store in a cool, dry place. Cooler temperatures and refrigeration will extend the shelf life.